The Godfather is largely regarded to be one of the best films that have ever been created. Following the intrinsic and complex lives of those caught in the Mafioso, it is no wonder that this movie became an instant blockbuster. 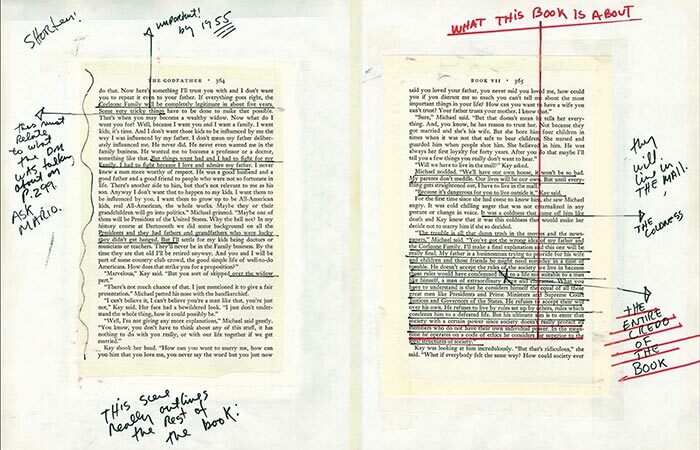 Now, for the first time ever, you can see Francis Ford Coppola’s notes. Featuring The Godfather Notebook. For those that don’t know, Francis Ford Coppola is the man who wrote and directed The Godfather. 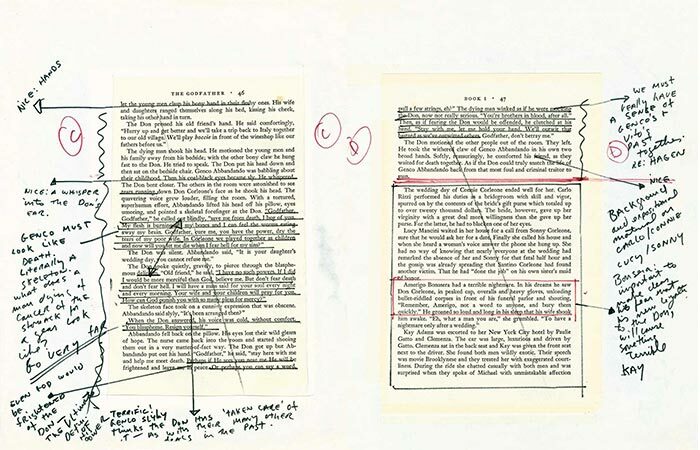 The Godfather Notebook is Coppola’s never-before-published personal notes and impressions of Mario Puzo’s novel. 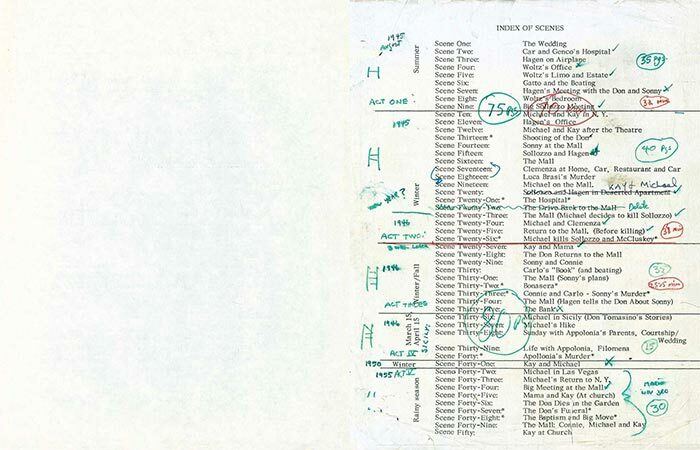 At the time, Coppola was only thirty-two years old, and this notebook reveals the intrinsic and meticulous creative process that unfolded before filming even started. This creative process eventually became one of the greatest films of all time. In fact, Coppola’s notebook was regularly used on set by Coppola while he directed the movie. See images below. This book, essentially, peels back all the layers behind The Godfather. It also features an introduction by Francis Ford Coppola and exclusive photographs. These photographs are from both on and off the set. 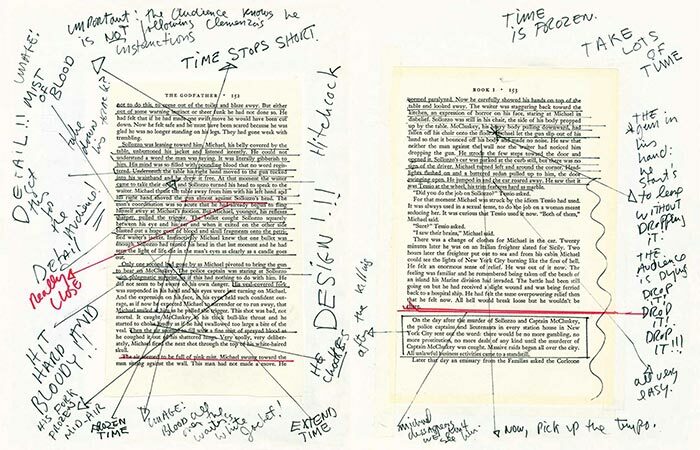 It is a unique and exact replica of Coppola’s original notes.